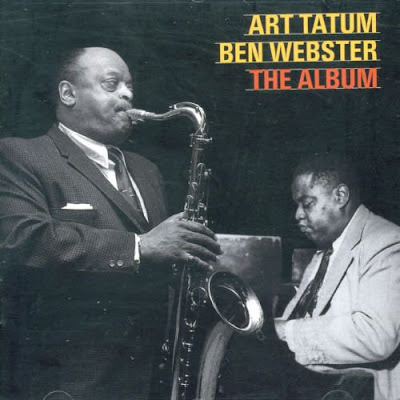 "The only album-length collaboration between pianist Art Tatum and tenor saxophonist Ben Webster (accompanied by a rhythm section of Red Callender, bass, and Bill Douglass, drums) was this September 11, 1956, session under the auspices of Norman Granz's Verve Records label. ... This is a good approach, since Tatum never subsides to simple comping; he just keeps soloing away under Webster's rich tenor tones until Webster stops playing, and then keeps on to the end. So, although this is billed as a group effort, it's not a group of equals or really one in which the players are cooperating with each other. Tatum might as well be playing solo, since he takes very little account of what's happening around him. Granz makes it work by varying the volume of the different instruments in the mix, and the result is a fascinating study in contrasts."